Free movement of steelhead, salmon, lamprey, and other native fish improved dramatically on southwestern Oregon’s Rogue River after three dams were removed in 2008, 2009, and 2010. The main stem Rogue River now flows unimpeded for more than 150 miles. But the Rogue’s ecological health also depends on the many streams that feed it. These tributaries serve as spawning grounds and fish nurseries. They harbor habitat, cool the main river, supply sediment and gravel, and boost the aquatic food chain across the 3.3 million-acre watershed. Dozens of barriers on these tributaries inhibit fish passage, block sediment and create pools where water warms. 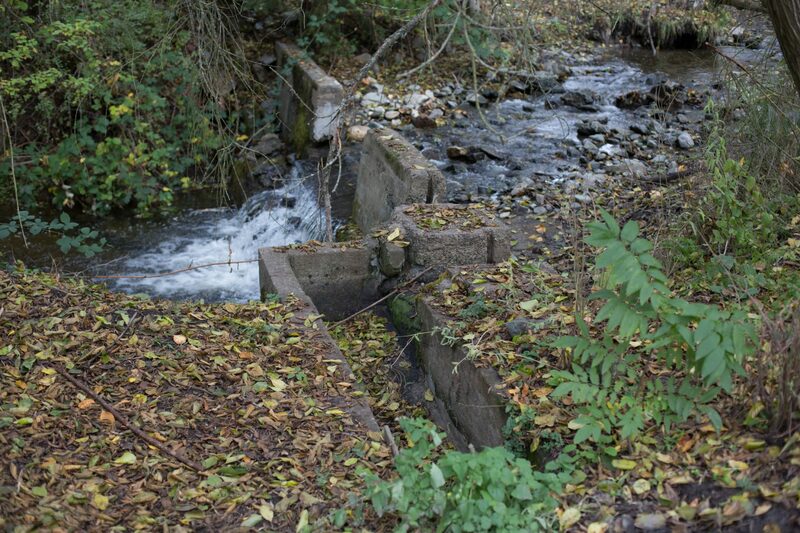 Building on work already completed on the main stem and other projects, RLF and watershed groups are working with landowners to remove fish passage barriers on tributaries. Native spring and fall Chinook salmon, threatened coho salmon, winter and summer steelhead, cutthroat trout, rainbow trout, lamprey, and other native fish species all stand to benefit. In May 2016, with the support of the Oregon Watershed Enhancement Board, the Rogue Basin Partnership (RBP) released a report identifying 38 high-priority barriers for removal. 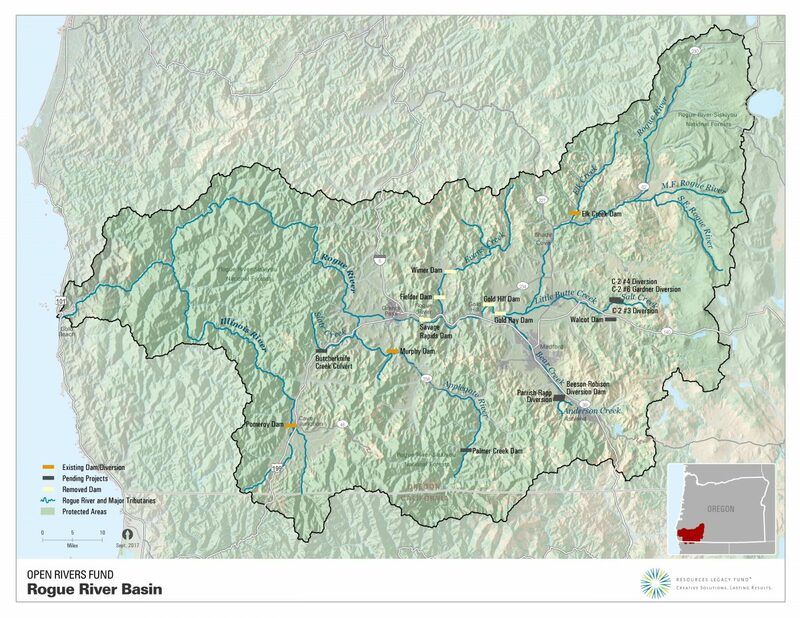 RBP is a coalition of conservation organizations, water districts, and tribes working to protect the Rogue River Basin. Open Rivers Fund supports the Rogue groups’ effort to remove roughly 50 barriers over the next 10 years. 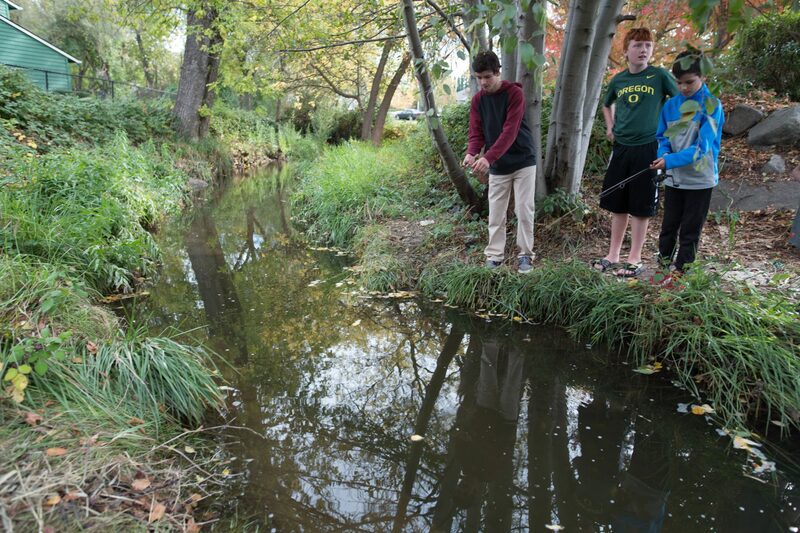 The Fund’s initial project involved the Beeson-Robison diversion, located along Wagner Creek, which feeds the Bear Creek tributary of the Rogue. The diversion completely blocked juvenile fish from upstream passage year-round, and halted adult fish heading upstream from April through October. The dam was removed in September 2017, and the river bed re-sculpted with rock and gravel to allow fish passage. This so-called “roughened channel” also maintains the irrigation water point of diversion.